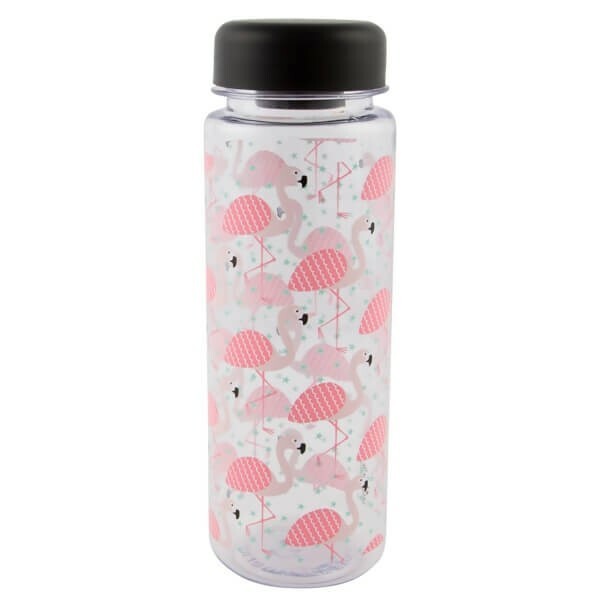 This Tropical Summer design features our favourite flamingo pattern against a clear background. 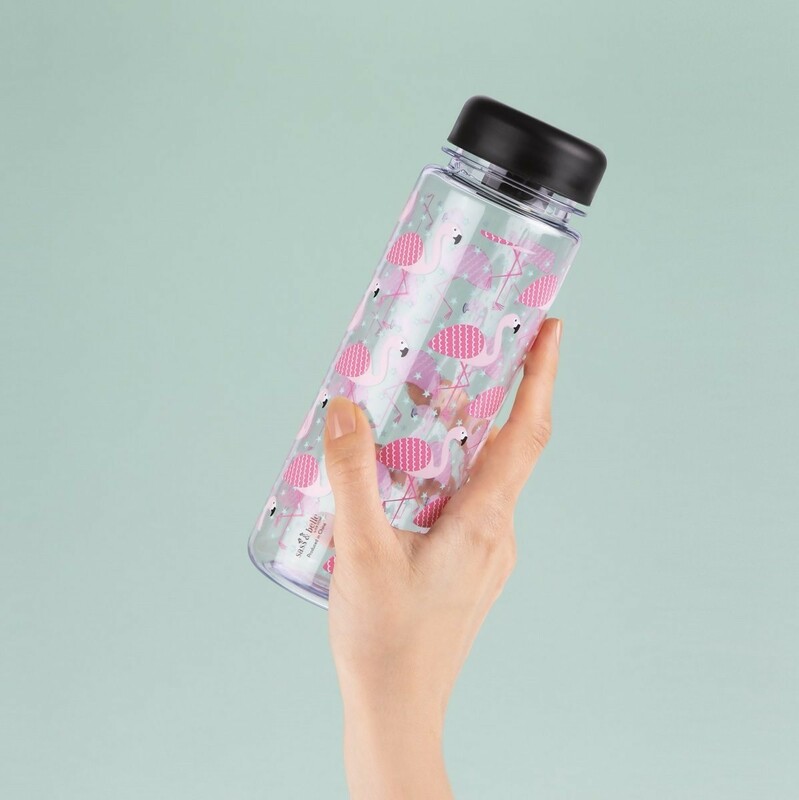 The bottle holds 450 ml of water and has a black screw-top lid. This item is dishwasher safe but please make sure you put it in the top tray of the dishwasher only to prevent any damage.